GB BOXING has selected four women from the world class performance programme to compete in the forthcoming EUBC European Women’s Boxing Championships in Sofia, Bulgaria, (14 – 24 November 2016). The team includes 2014 World Championship silver medallists, Lisa Whiteside at flyweight (51kg) and Sandy Ryan at lightweight (60kg). The pair will be joined by Chantelle Cameron at light-welterweight (64kg) and Natasha Gale who will compete at middleweight (75kg). Olympic flyweight champion, Nicola Adams, and middleweight, Savannah Marshall, who both competed for Team GB in Rio, were not considered for selection and are having a break from full-time training following the Olympic Games. GB Boxing’s Performance Director, Rob McCracken, said: “The European Championships is always a tough assignment however our boxers have a good record in this tournament so we are approaching it in a positive frame of mind. For Derby’s Sandy Ryan the European Championships will be her first major tournament competing in the Olympic lightweight (60kg) category, having previously won a silver medal at the 2014 World Championships and a bronze at the 2015 European Games at light-welterweight (64kg). The 23-year-old heads to Sofia in good form, having won gold on her last two outings at the Balkan Tournament in Bulgaria and most recently at the Feliks Stamm in Poland where she was named Best Technical Boxer of the Tournament. 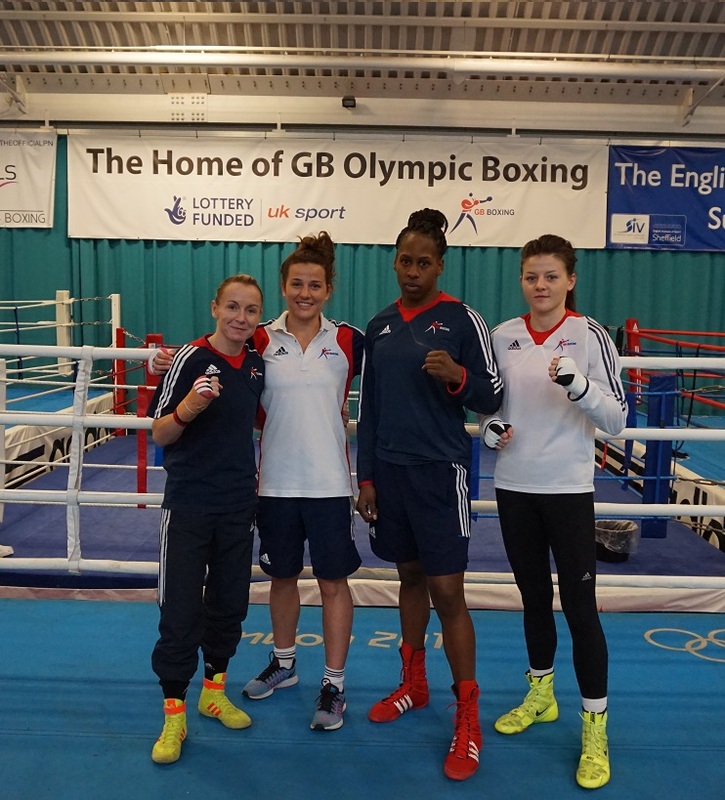 All four of the women from the GB Boxing squad will compete for England at the European Championships. They will travel in a party with three other boxers that have been selected by England Boxing to compete at the tournament. Demie-Jade Resztan wil compete at light-flyweight (48kg), Ramla Ali at bantamweight (54kg) and Raven Chapman at featherweight (57kg).